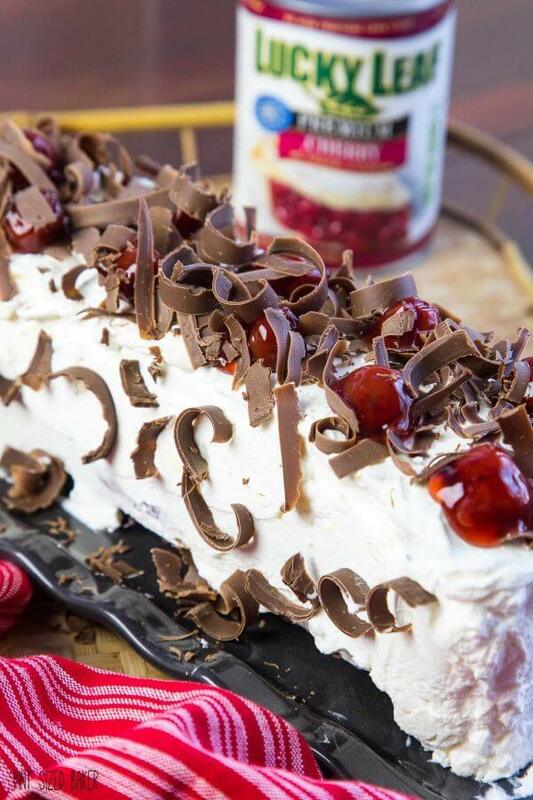 This summer you’ll fall in love with this Black Forest No Bake Eclair Cake. Super easy to assemble and everyone loved it served frozen! This post is sponsored by Lucky Leaf Premium Pie Filling. I am a proud member of the Lucky Leaf Team. All opinions and content in this post are my own. 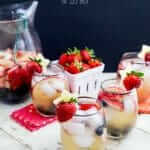 Welcome to Summer! It’s the summer solstice and it’s getting HOT! Who wants to be inside working in the kitchen when they can be outside relaxing poolside? Or enjoying some time at the lake or beach? Let’s face it, the summer months are for relaxing, grilling and not worrying so much! 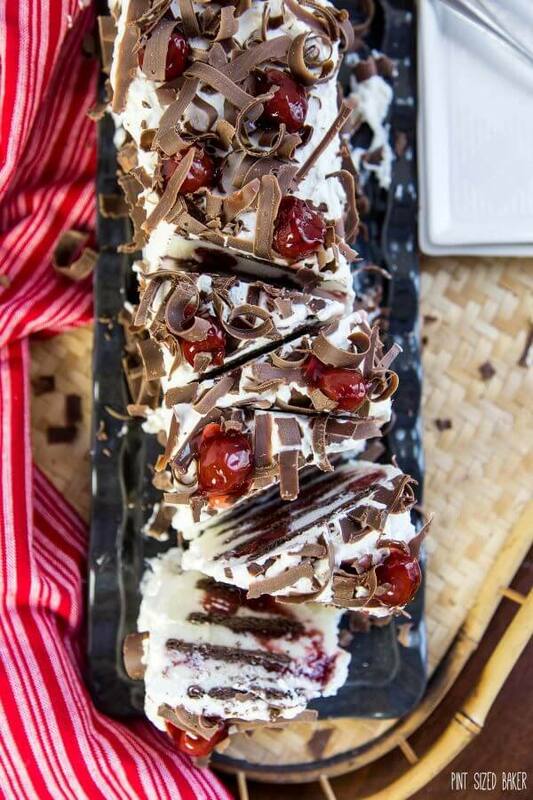 This Black Forest No Bake Eclair Cake just takes a few minutes to assemble in the morning so all you have to worry about is applying more sunscreen during the day. I chose to make this eclair cake in a long and skinny pan. 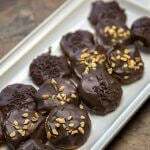 Most eclair cakes are made in an 8×8 baking dish. 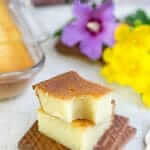 You can totally use a square dish when making this dessert. Honestly, there’s no wrong way to make it. You should know that you’ll need more graham crackers to completely cover the pan and will stop at three layers. When making it in a long and skinny pan like this, I got six layers of yummy chocolate goodness in there. And speaking of chocolate, I know that Black Forest Cake is traditionally made with chocolate chocolate. I took it upon myself to make this eclair cake with WHITE CHOCOLATE pudding. That way you can clearly see the chocolate graham cracker and cherries. Why muddy all that up with dark chocolate? However, if you can’t find the pudding in your local grocery store, you can always make your own homemade White Chocolate Pudding. Or, if you are insistent on a traditional black forest eclair cake then, by all means, use dark chocolate pudding. I’m sure it’ll be just as delicious. 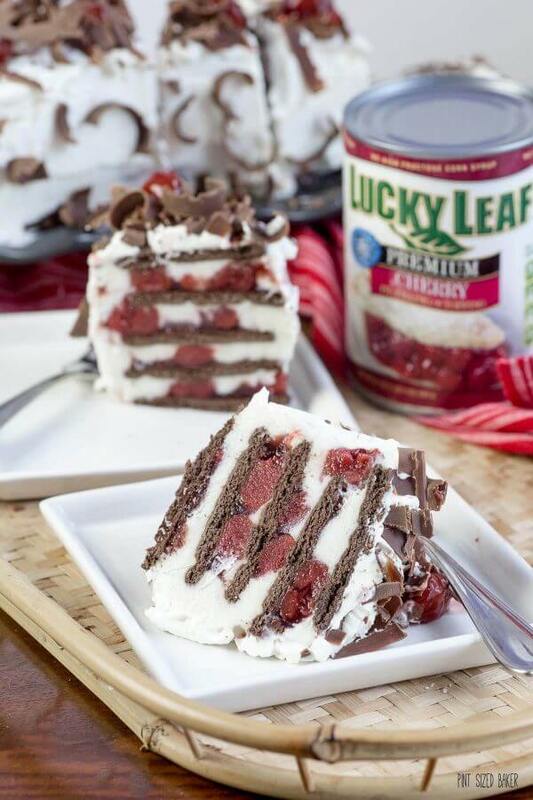 Using Lucky Leaf Premium Pie Filling, a pudding mix and graham crackers, this dessert literally takes just a few minutes to assemble. You can place it in the fridge to allow the pudding to soften the graham crackers or place it into the freezer for a frozen dessert treat! I preferred it frozen. It was easier to cut and serve while frozen and I’ve got a soft spot for frozen pudding. It reminds me of pudding pops from my youth. 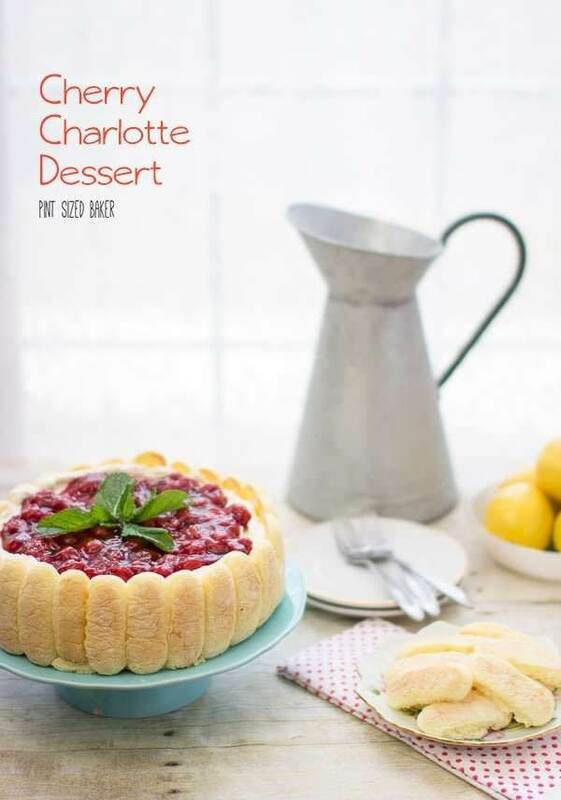 Take my word on this dessert! 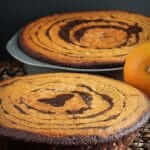 It’s easy, delicious and everyone loves it! Just check out this video on how easy it really is to make! I’m not lying about it. 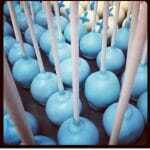 I am an official blogger for Lucky Leaf and was compensated for this post. All opinions are strictly my own. 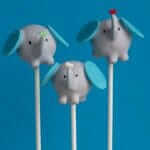 Please follow Lucky Leaf on Facebook, Twitter and Pinterest. for more recipes, coupons, and inspiration. Line a 12 x 4 bread loaf pan with plastic wrap. Prepare the white chocolate pudding packs according to the instructions and let sit for 5 minutes. Layer 2 full sheets of chocolate graham crackers, followed by white chocolate pudding and then topped with the Lucky Leaf Cherry Pie Filling - reserve 12 cherries for the topping. 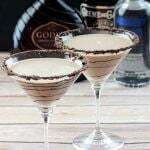 Repeat six times ending with a layer of the graham crackers. Freeze for at least 6 hours or until ready to serve. Sprinkle 1 teaspoon of unflavored gelatin over 3 teaspoons of water. Let rest for a minute then microwave for 20 seconds. Set aside to cool for 5 minutes. 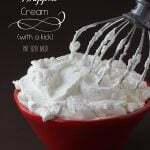 Whip the heavy whipping cream and powdered sugar until soft peaks form then drizzle the cooled gelatin in and whip until stiff peaks form. Remove the Eclair Cake from the freezer and transfer to a plate. Remove the plastic wrap and then frost with the stabilized whipped cream. 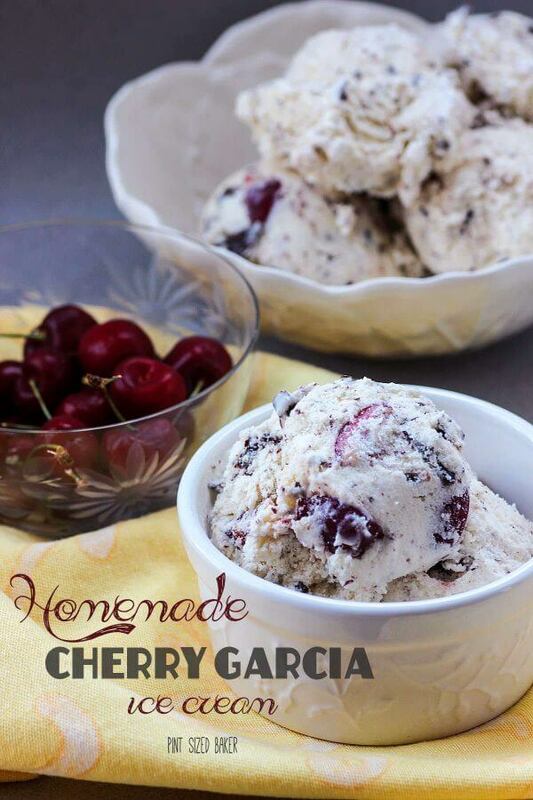 Use a vegetable peeler to make chocolate curls from a candy bar and then top with the reserved cherries. If you do not have a long, skinny bread loaf pan, this can be prepared in an 8x8 baking dish. 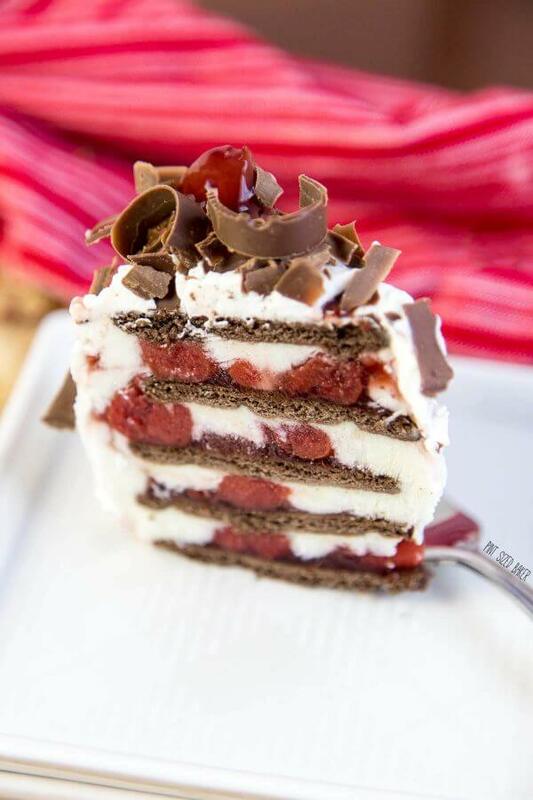 Do NOT use plastic wrap, simply layer the graham crackers, pudding and cherries in three layers and top with the whipped cream. 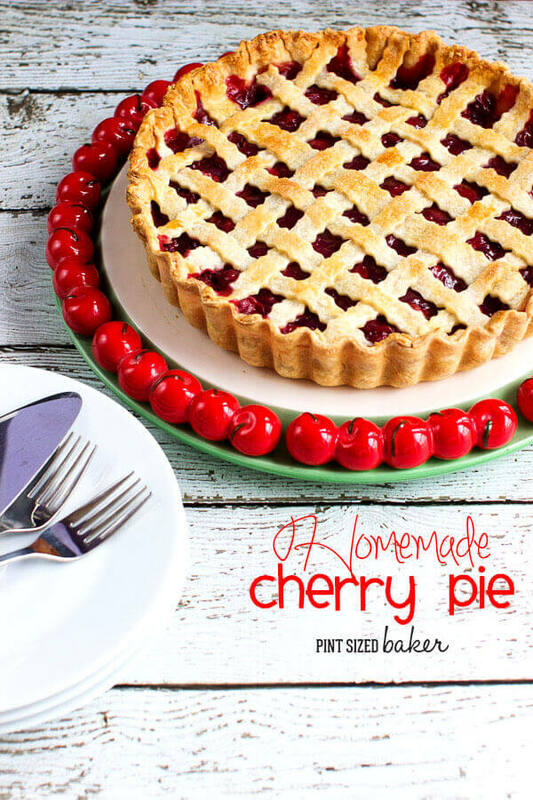 For more Cherry Pie Desserts, check out these yummies!! 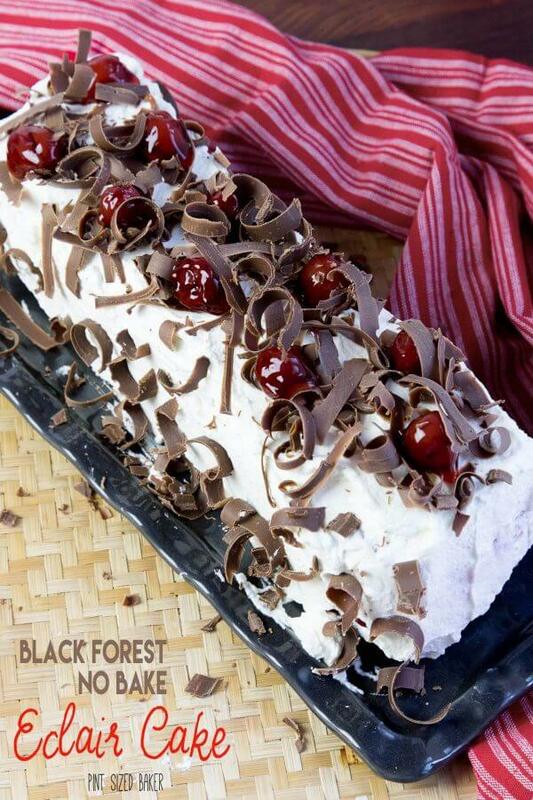 I love LOVE black forest cake! This one looks so good! Thanks! 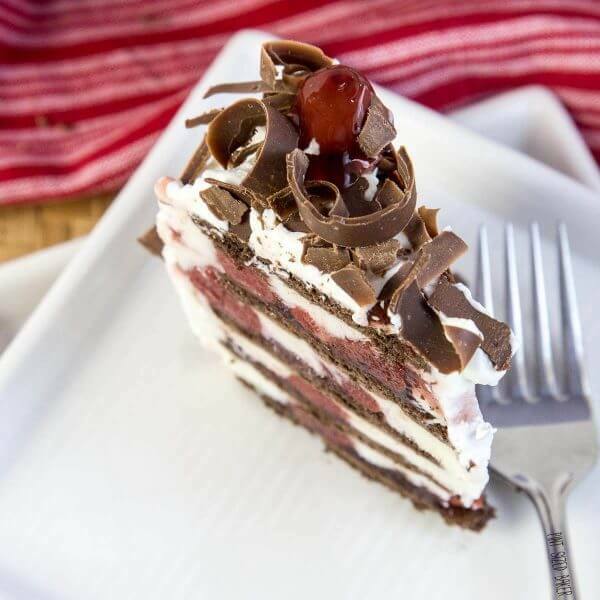 It’s really just a play on chocolate and cherries, but we sure did love it and din’t miss all the work to make a traditional Black Forest Cake. So gorgeous and this looks so easy! I love that this is no bake!! It’s so easy and tasty! !